Dr. Elsey’s has been providing quality litter solutions for years. 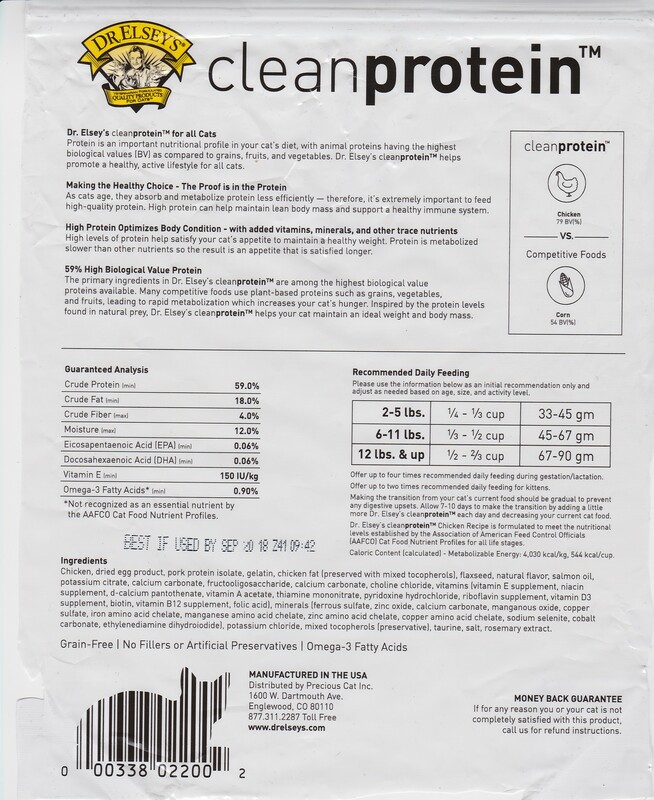 Recently, they’ve started another product line called Cleanprotein that seems to care a lot about your cat and their nutritional needs. This particular product caught my attention because of the extremely high animal protein content. I feed my boys raw. Cats are obligate carnivores and meant to eat mainly… MEAT! 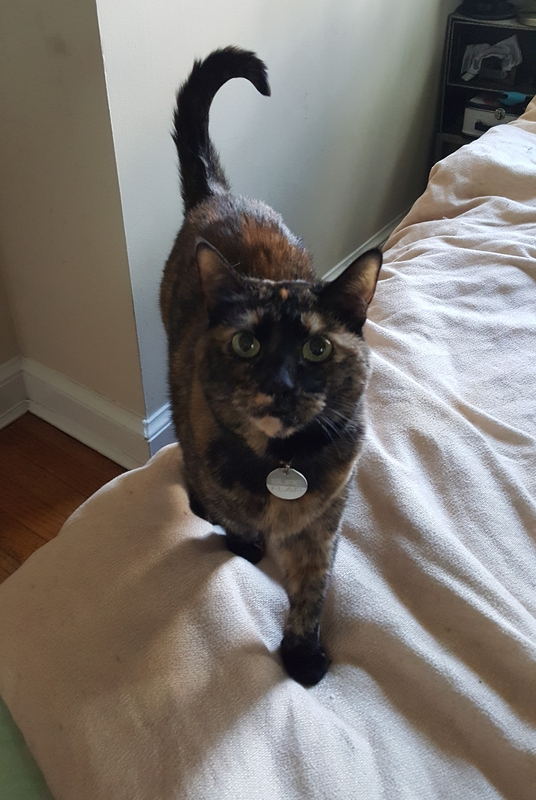 And, while I would love to have my girls on raw, or even wet food (which Dr. Elsey’s also has), Amalie is a kibble junkie so that’s what we’re testing in Chicken. 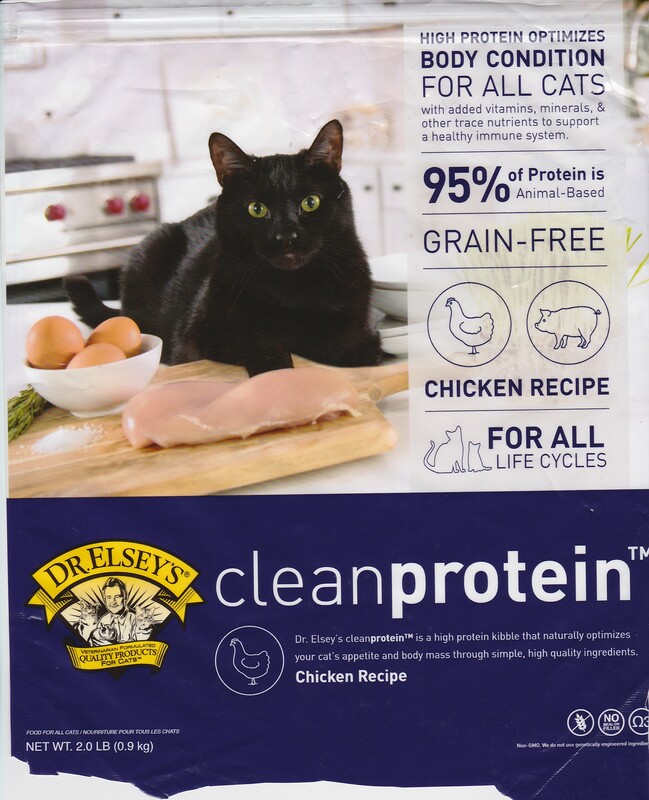 Dr. Elsey’s emulates a cat’s natural carnivorous diet. Protein helps control hunger and maintain healthy body weight. Cats get very little carbohydrates in the wild from eating grass and plants for fiber. Cats do not normally eat grain, rice, vegetables, and fruits. Their weights allow up to 1 cup per day between the two. 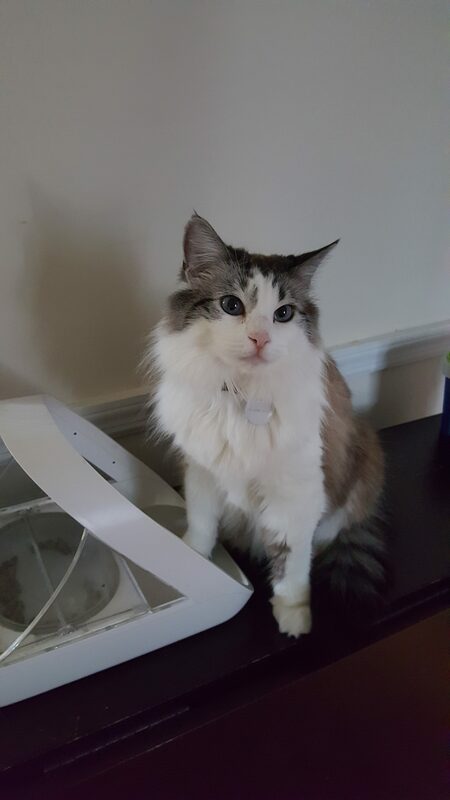 I give them 1/8 cup whenever they’re hungry, and they usually don’t finish that portion until later after they’ve walked away and come back to it. Which for me is kind of amazing because their old food was 448 kcal per cup and Cleanprotein is 544 kcal per cup. The girls have regulated their own weight on a higher calorie diet because the digestible animal protein is supposed to help them feel fuller, longer. At the end of the ten day period, we also still have 11 oz left of the 2 lb bag we were provided.